Franchising a food business outlet requires a lot of preparation and planning. Whether it is a full-service restaurant or a snacks kiosks, you need to have the knack to run this business or you might not be able to sustain the business. Hot & Roll is branded as a fast food chain. If you have been thinking about owning an F&B outlet in this sector but do not wish to place a too high startup fee, then Hot & Roll could well be your best option. What makes Hot & Roll such a sound investment is that it is easy to set up and does not require too much investment. After all, it is known by both local and foreign customers. 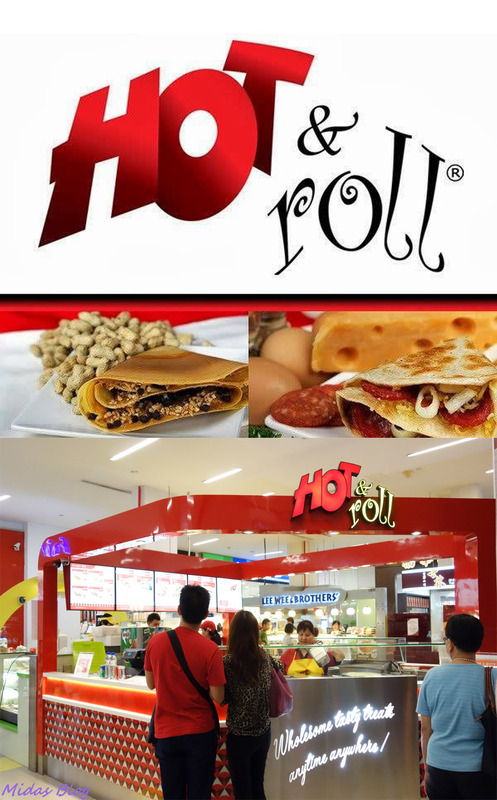 Hot & Roll is a very established brand in the F&B industry, bringing with it tasty food and wholesome meals. Its signature offerings include their paratha and chapatti wraps. This makes the foods easy to buy, to carry and consume. What makes Hot & Roll an interesting option for you if you intend to start this business is that you can choose between the different types of franchise plans. You will be guided on how to get the business started and how you can sustain it. This includes knowledge on staffing, operations, finance and other crucial issues. The location will be extremely important. What you want in the Hot & Roll business is a good location with high visibility and traffic. The first concept you can consider would be to start a counter business. This only requires about 90 square feet. Concept 2 will require more space which can go on to 120 square feet while Concept 3 will be one which will require the most space. You will need to pay the franchise fee of RM10,000, RM15,000 and RM20,000 for the first, second and third plans respectively. You will need to pay an RM10,000 security deposit for any of the plans. On top of that, you will need to prepare the development cost of a minimum of RM69,000, RM85,000 and RM120,000 for the three plans. There is a special minimum of staff you need to operate the outlets which is 2, 3 and 4 respectively. On top of that, there is a percentage that need to be paid for the franchise. You need to pay at least 80% of the cost before training can convene. You will have to bear the cost of rental and overheads as well as buying the equipment for the business. This includes the likes of the cooking utensils, the serving equipment and any other items that would be needed for the operations of the Hot & Roll business.